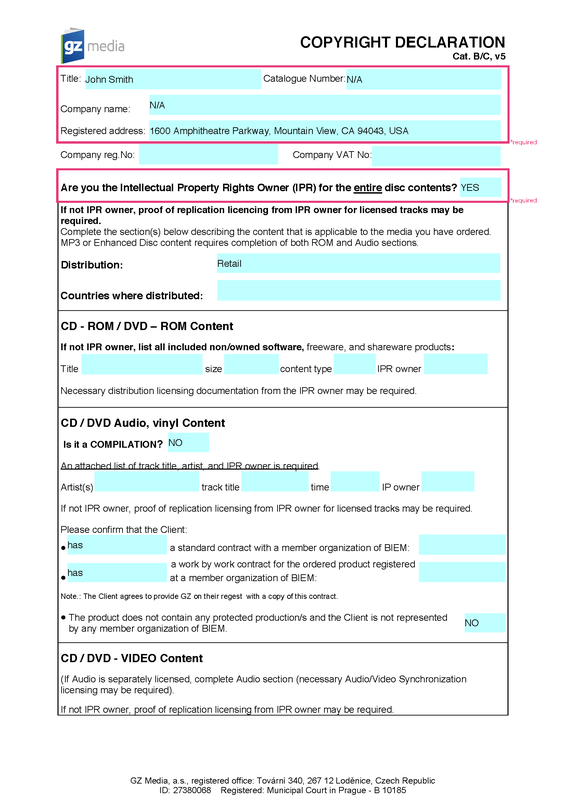 Please download the Copyright Declaration Form template here, be sure to fill in the required fields within the pink boxes on pages 1 and 2. 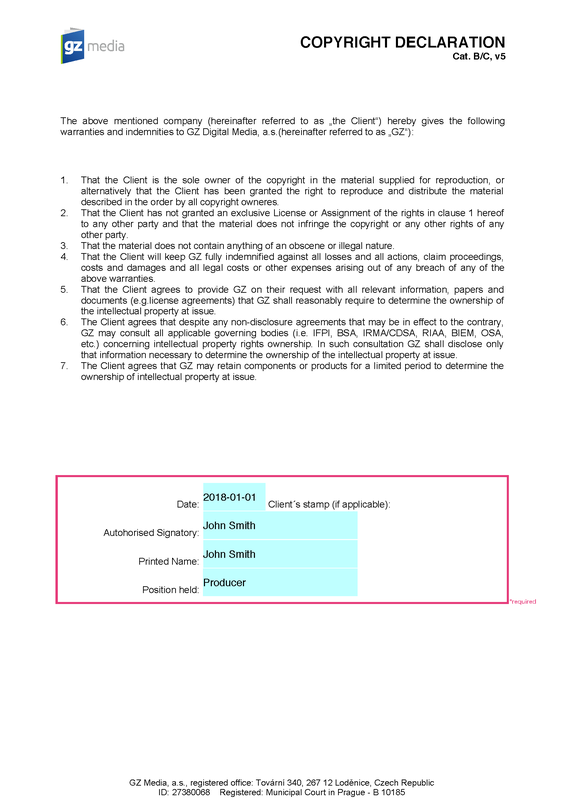 You can fill in the form hand-written or digitally. your hand-written signature or typed name. your position, for example: PRODUCER, OWNER and ARTIST, etc.